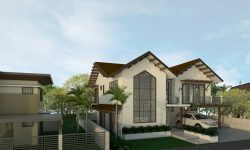 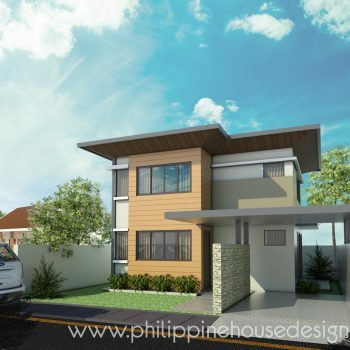 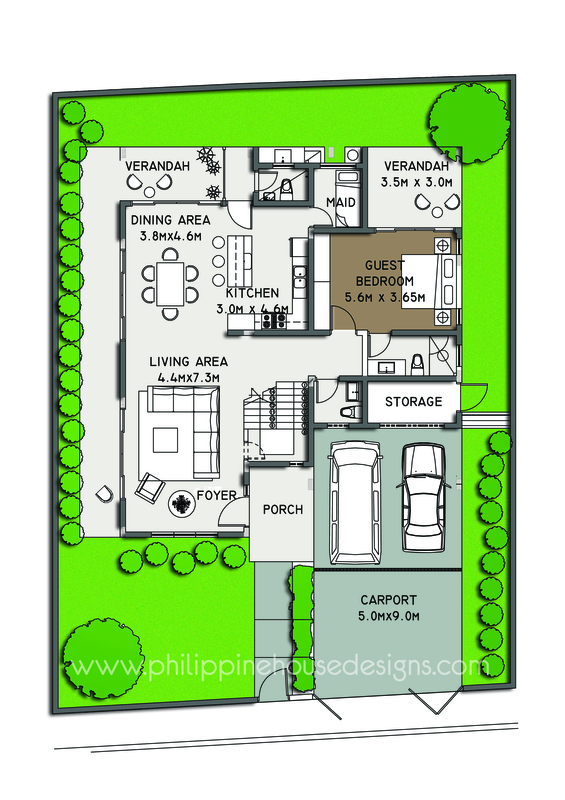 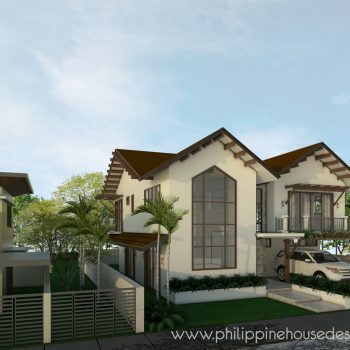 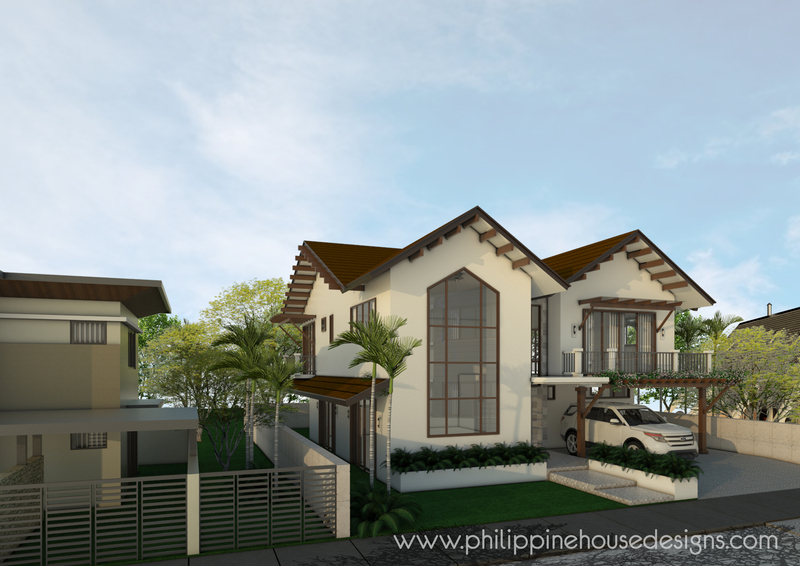 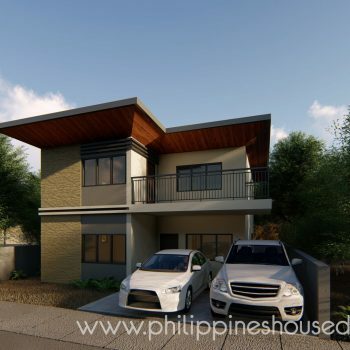 This two-story modern Filipino house maximizes the longitudinal lot to include 4 spacious bedrooms – with one bedroom at the ground floor ideal for those living with the elderly — one of which can serve as a den or guest room. Each bedroom is provided with ample wardrobe cabinets. 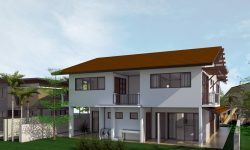 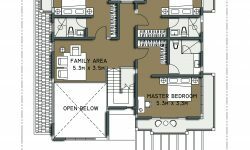 Second floor bedrooms each have a balcony to enjoy outdoor view, while the guest bedroom enjoys its own verandah. 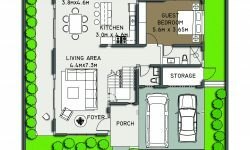 Storage is also maximized in each room, as well as use of the space under the stairs and near the carport for large items. 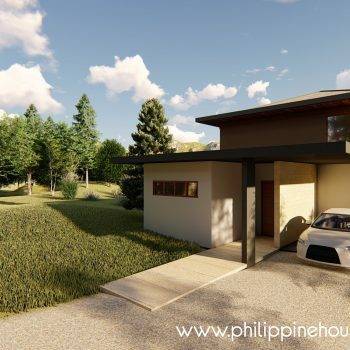 The open plan of the living, dining and kitchen areas are made bigger by having sliding doors that open to the outdoor. 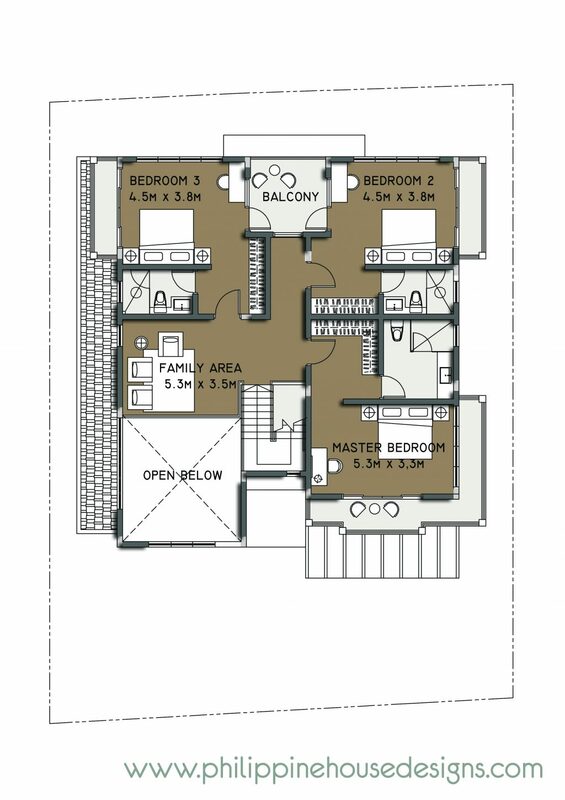 The double volume over the line makes the space look grand and spacious. 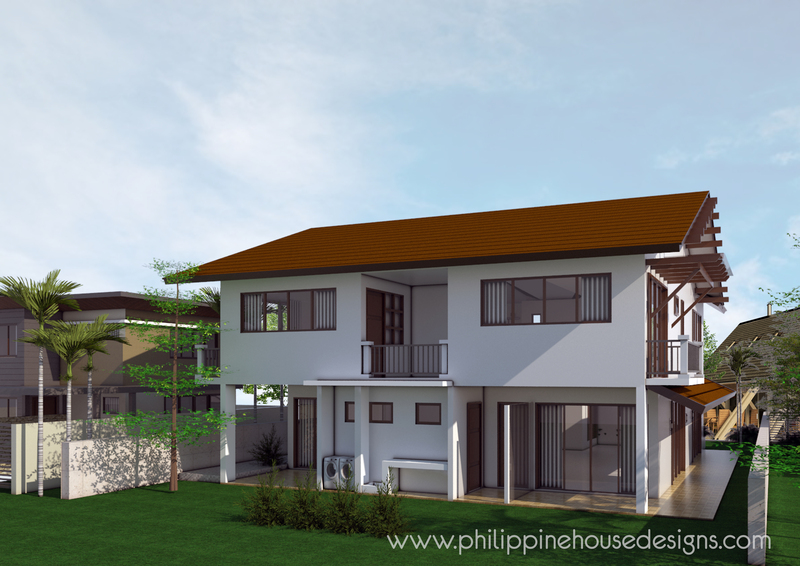 A cozy lanai is located right outside the dining area to extend the visual space.